Planning your meals in advance can help you save time and money. A meal plan can help you and your family or whānau eat a nutritious, well-balanced diet. Use the meal planning tools and recipes below. They will help you plan and prepare healthy, tasty and affordable meals. Information and handy tools to help you plan meals. It should help you with healthy, tasty meals that are quick to prepare. It should also help you stay within your budget. The first few views are free, but then you'll need to register for a small fee. This website has a huge variety of healthy recipes. It includes recipes for families, for people living on their own, and for special occasions. It also includes recipes for special diets such as diabetes, vegetarian, gluten-free and dairy-free. The first few views are free, but then you'll need to register for a small fee. Healthy recipes in many different styles. It includes Asian, Pacific, kids' meals and meals for people with diabetes. 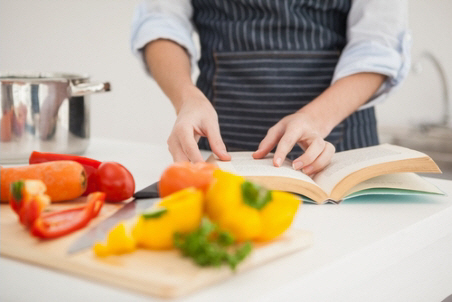 Eight free cookbooks that you can download or order. They include Kids in the kitchen. This is a collection of fun recipes to get children interested in food and helping out in the kitchen. This website is provided by the Health Promotion Agency. It has tasty, fast, easy and low-cost recipes. It includes recipes for breakfast, lunch, dinner and snacks. It also has a baby food section. This has everything you need to know about when and how to start your baby on solids. It also has easy baby food recipes. A whānau focused cookbook that you can read online or download. It has healthy recipes that are affordable, and quick and easy to make. It includes some old favourites such as a boil-up but with a few changes to make it healthy. Recipes and information about flavouring food inspired by traditional Pacific dishes and ingredients. Healthy and economical recipes that use Pacific food and traditions.